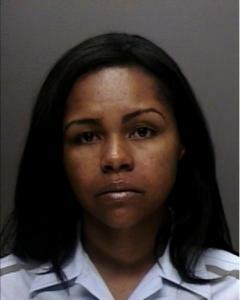 Bus Driver *Latricia Milton* Charged With Assault....Blame the Bagel. So here is the real breakdown of this breaking news. There was bus driver *Latricia Milton* that got really hungry, but she was driving a bus, and she couldn't fit through the drive-thru at McDonald's, and she couldn't leave the damn thing anywhere because it's....a bus and like huge a stuff...so she decided to park illegally and try to eat a bagel. The police immediately noticed that there was an enormous bus in the middle of the road, so they tried to arrest her, and the headlines below followed. "The driver of an MBTA bus that hit a parking supervisor and several cars in Kenmore Square during rush hour Thursday morning has been arrested and is facing charges of assault and battery with a deadly weapon and driving to endanger." So there you have it. Some woman got really hungry, and tried to eat a bagel at the wrong time of day, and now she is most likely going to jail. Moral of the story: Next Time Buy a SlimFast, it's just a meal in the can that fits in a cupholder. Hey Latricia: You are not exactly my type, but if you are ever in the need of a boyfriend, post your number in the comments section of this post, and I'll see if I can take you out.....I'm driving! Not You! What is the worst crime story ever?